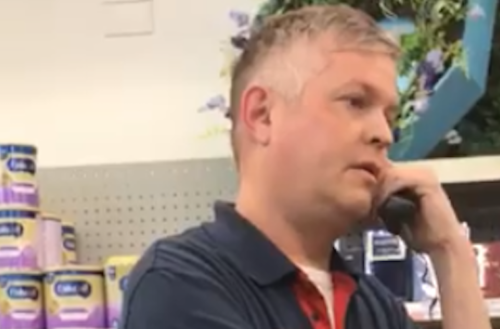 On late Friday night, Morry Matson, a manager of a CVS drugstore in Chicago, called police on a black woman named Camilla Hudson for trying to use an unfamiliar manufacturer’s coupon at his store. Matson believed Hudson was trying to to use a counterfeit coupon and summoned the cops. Hudson says three policemen showed up before she left the store. CVS has since apologized to her and said that they’re investigation what happened. In the one-minute eight-second video which Hudson posted on Facebook (below), Matson visibly shakes while on the phone with police. We sincerely apologize to Ms. Hudson for her experience in one of our stores. Our Region Director in Chicago contacted Ms. Hudson as soon as we were made aware of this incident. CVS has begun an investigation and we will take any corrective action that is warranted to prevent it from happening again,” CVS spokesperson Mike DeAngelis said in a statement. 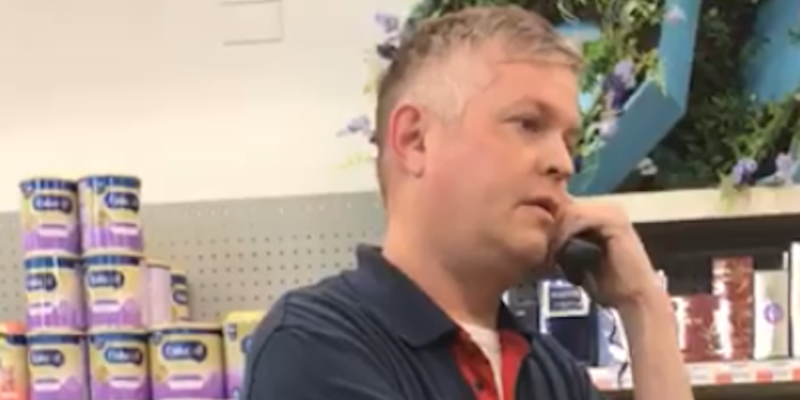 “CVS Pharmacy does not tolerate any practices that discriminate against any customer and we are committed to maintaining a welcoming and diverse environment in our stores. We have firm non-discrimination policies in place to help ensure that all customers are treated with respect and dignity. Profiling or any other type of discriminatory behavior is strictly prohibited. In addition to being president of the Log Cabin Republicans, a political group for LGBTQ conservatives, Morry Matson is also running as the alderman of Chicago’s 48th Ward and says he was a state delegate for Trump during the last election. What do you think of the Morry Matson incident?